Mad Flava is a collective that represents from the roguish boulevards of Dallas, TX. 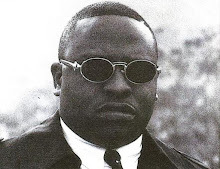 It consists of Cold Chris, Hype Dawg, Don Kassan and DJ Baby G. The group was formed by Cold Chris in the late eighties but was a trio with DJ Baby G and Don Kassan. It wasn't till the early nineties when the group inducted their fourth member, Hype Dawg who is originally from the city of St. Louis in Missouri. Together, they released their one and only full length album which dropped on Priority Records, known as, "From Tha Ground Unda." This album is a compilation of B-Sides, rarities and unreleased material from the group which was recorded between the years of 1990 to 1998. The record was put together by Hype Dawg circa, 1999. Most of the songs are either recorded under Raw Deal Records or Du Damage Entertainment. Production, as always, is led by the magnificent, Hype Dawg and he certainly does not disappoint. His production pattern is so unique and intricate, that it becomes hard to classify. His choice of samples is exceptional and it tends to become the dominant portion of the beat. His creativeness also plays a huge role when constructing and it immediately indulges the listener from the very first track. The rhythms are hard hitting and very groovy to say the least. They are a perfect illustration of that Old School Hip Hop sound and are thoroughly enjoyable. Lyrics are also of an exemplary nature. Extra emphasis is given on the technique and proper delivery of a rhyme. Word play is immensely used which then makes their vocals very unpredictable. Rhyme schemes and patterns are one of a kind and each member can wreak havoc on any given track. The songs have a strong sense of direction and are conveyed in such a fashion, that it's up to the listener to understand and decipher them. The compilation signs off with a total of fifteen bonafide tracks with a wide range of subjects and topics. This is not a official release, it is merely a compilation of tracks that Hype Dawg dug out of the vaults of the underground. While it may not be formal in appearance, it is still authentic in character. What it lacks in actualization, it more than makes up for it in the core quality of content. After listening to this material, it is baffling to understand why the group fell out of favor with Priority Records. The label had such flexibility with the group that the only thing they had to do was market them properly. And since the major label failed to do just that, the group did not stand a chance. 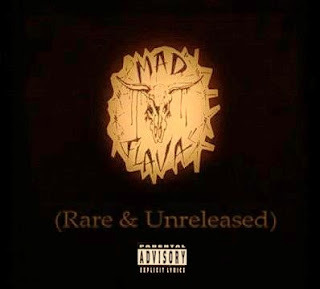 In the end, Mad Flava dissolved into the depths of the underground and eventually became a victim of their own time.